Below you'll find answers to some of our most common questions and queries. Still have a question to ask or you'd like some more info - just Contact Us and we'll be happy to help. WHERE WILL YOU BE TAKING PICTURES NEXT? Our social media platforms on Instagram and Facebook are the easiest and most up to date way to find where we've been shooting and where we are heading to next. We take shots for our public sessions in between our booked private shoots, so times and locations are occasionally subject to change depending on our availability. WHAT'S THE DIFFERENCE BETWEEN YOUR 'PUBLIC' & 'PRIVATE' SHOOTS? Our services are also available to book exclusively for you and your friends. 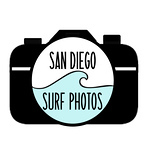 You can hire our surf photographer for your very own Private Photo Session. You'll receive ALL of the surfing shots from your session in a private digital gallery. Private shoots can be booked for up to 4 surfers and are $150 - making it a great cost effective way to get lots of photos of you doing what you love! We are also happy to include some lifestyle shots too. We shoot at beaches throughout San Diego County, California. We are based in Oceanside so we take a lot of shots in North County, but we're always happy to travel to your local break. Do you surf further afield or require a photographer for a private or commercial shoot? - please contact us and we'd love to work with you! HOW DO I BUY THE WHOLE GALLERY? We like to offer you all the shots we take and a gallery is a great and cost effective way to get all your best shots from your sessions (especially if you're thinking of buying more than 6 individual photos!) . To purchase an entire gallery for digital download ($30.99) you'll need to use a PC or Laptop when placing your order. You files will be sent to you via email from which you can easily download. HOW LONG DOES IT TAKE FOR YOU TO SEND ME MY PICTURES? If you've place a digital download order from our public galleries you can expect your images to be available for you within minutes. If you've just had a private shoot with us, we'll email you your gallery link (usually within 48hours). If you've placed an online print order these usually take 5 - 7 working days. IF I BOOK A 'PRIVATE SHOOT' AND THE CONDITIONS ARE FLAT OR GNARLY WHAT HAPPENS THEN? We're surfers too and understand that sometimes mother nature just isn't on our side. We want to get the best shots possible so your photographer will be in touch with you 48hrs before your shoot to check the surf forecast and make sure we're good to go! If we/you need to make any changes to day/s, time/s or location/s we're always happy to change things around to accommodate your needs. DO YOU JUST TAKE PICTURES OF SURFING? We love taking photos of surfing the most, but we are also available capture any of the other awesome moments in your life you'd love to keep and treasure forever. Maybe you need some action shots of your kids at the skatepark? an engagement shoot, birthday, graduation, beach wedding…you get the idea. We offer a full range of services and would love to capture your special moments. Message us on the Contact Us page with your request!